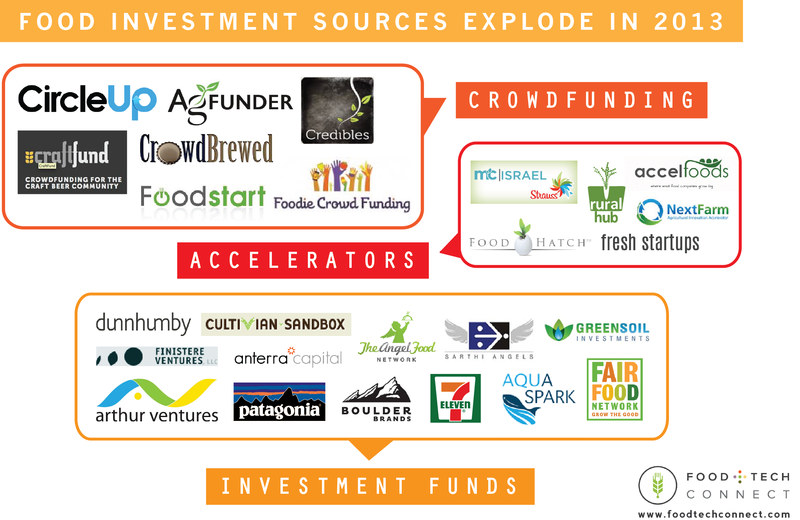 From new investment funds to accelerator programs to crowdfunding platforms, 26 new private food and agriculture funding sources launched over the past year. We’ve compiled these funding sources into an easy-to-reference list below, which we will continue to update throughout the year. We’ll also be posting a more detailed analysis on Forbes in the next few weeks, so be sure to check back. Did we miss anything? Let us know in the comments below, and we’ll make sure it’s added to the list. Cultivan Sandbox: Cultivian Sandbox is a newly launched venture capital fund investing in next-generation disruptive agriculture and food technology companies. A partnership between Cultivan Ventures and Sandbox Industries, the Chicago-based investment fund and incubator launched by Monsanto Co. alums, it closed its first tranche in May, raising about $70 million with plans to raise a total of $150 million. Its areas of investment include: animal health and protein production, crop production (including robotics and precision agriculture), food safety, cleantech and water technologies. 7-Ventures: Dallas-based convenience store chain 7-Eleven launched a new venture capital arm this summer to invest in food, food tech and retail technology startups. 7-Ventures has made two investments to date, including one in an undisclosed coffee company and one in customer loyalty and marketing platform Belly. Arthur Ventures Growth Fund II: North Dakota-based Arthur Ventures raised a $45 million fund this year to invest in a variety of sectors, including agriculture, energy, enterprise technology and web-enabled services and healthcare. Its investments in early-stage companies range from $250,000 to $3M, with most falling between $1M and $2M. GreenSoil Investments: In February, GreenSoil Investments, a Canadian venture fund dedicated to investing in Israeli food and agriculture startups, launched its second fund. It has raised $14 million for this fund to date and raised $12 million last year for its first fund, raising a total of $26 million for both funds. The fund has invested in five companies, three of which were made through its new fund, including Phenome Networks, TIPA, Fruitura Bioscience Ltd, EcoFer and Rootility. dunnhumby Ventures: Dunnhumby, the analytics and direct-marketing firm behind loyalty programs at Tesco and Kroger among others, launched a venture fund in September to make seed-stage investments in retail data, analytics and marketing technology startups. To date, the Boston-based fund has backed three companies, including InfoScout, Coherent Path and The Shelf, and plans to make 10 investments annually. Investments have ranged from $250,000 to $500,000. Sarthi Angel Fund: Mumbai-based Sarthi Grouped launched a not-for-profit angel platform to provide funds to startups focused on agriculture and food processing, consumer, cleantech, e-commerce and information technology, healthcare and media. Finistere II Fund, LP: This San Diego-based firm is currently raising a new fund, which will focus on agricultural technology at the nexus of the food agricultural productivity and sustainability in food, alternative energy, human and animal health, and the digital technology sectors. 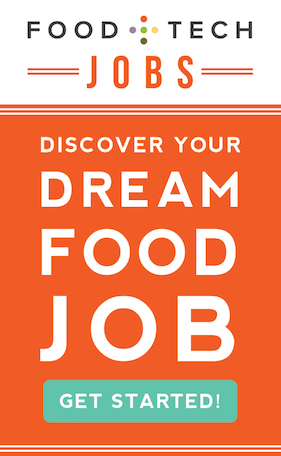 Fair Foods Fund: Created by Fair Food Network, this impact capital fund provides financing and business assistance to food systems entrepreneurs. Fair Foods Fund makes investments that are focused on the middle of the supply chain, including: aggregation, storage or distribution of local food; value-added processing or marketing of local food; and information technology that benefits small- and mid-sized farms. It focuses on subordinated debt and royalty financing, with target deal size ranging from $50,000 to $500,000 and may be offered as a stand-alone investment or as part of a larger financing package. Currently active across the Northeast, it made its first loan this fall to Maine-based MOO Milk. The fund also offers a 3-day intensive boot camp, as well as consulting services. Fair Food Fund has secured funding from foundations and USDA to launch this innovative capital impact fund, but its goal is to raise $10 million by 2015. Patagonia $20 Million & Change Fund: Patagonia launched an internal venture fund to invest $20 million in sustainable companies with a focus on clothing, food, water, energy or waste. Named “$20 Million & Change,” the fund will make investments ranging from $500,000 to $5 million in early stage companies that have at least $1 million in revenue or capitalization. It will take minority and majority stakes and could also create joint ventures. Boulder Brands Investment Group: Boulder Brands, a Colorado-based food brand focused on health and wellness products, teamed up with Bill Weiland, Founder and CEO of natural foods brokerage Presence Marketing, to launch an investment fund targeting early-stage growth companies in the natural and organic food and beverage sectors. These companies will operate independently from Boulder Brands but will benefit from access to its infrastructure, resources and expertise. Angel Food Network: This Chicago-based network for angel food investors launched in the fall to match local, early-stage food and beverage companies with investors. The fund targets Midwestern food and beverage companies that want to raise up to $1 million. Aqua-Spark: A new global investment fund based in the Netherlands, Aqua-Spark makes investments of €250,000 to €5,000,000 in small-to-medium sized sustainable aquaculture businesses around the world. The fund seeks to be a minority investor in the businesses it supports, holding between 20 to 49 percent. FreshStartups: Toronto-based FreshStartups launched an accelerator program for food, health and wellness technology startups this year. A partnership between Kinetic Cafe, a consulting firm, and Freshii, a healthy food restaurant chain, FreshStartups focuses on business growth, working side-by-side with startups for 6 months. 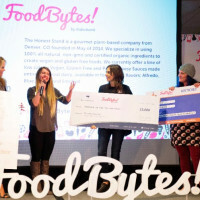 Participants receive $25,000 in cash, $15,000 in digital lab credits – access to Kinetic Cafe’s on-staff designers, developers, sales, strategy and marketing experts – and office space, as well as educational programming and access to Freshii’s users and infrastructure. Fresh Startups takes 5-10 percent of equity in the businesses. Alpha Strauss FoodTech Center of Excellence: Israel-based packed food company Strauss Group is partnering with startup accelerator MassChallenge to launch a food tech accelerator in Israel. Details about how the accelerator will operate and it’s specific areas of focus are limited, but Alpha Strauss’ director tells The Jewish Daily Forward that it is hoping to bring in companies that are working on infrastructure, raw ingredients and packaging, among other things. Strauss is launching the accelerator program for a couple of reasons, including: to make Israel the “Silicon Valley of food”; to attract more entrepreneurs and technologies; and to find innovative ways to compete again other multinationals. AccelFoods: AccelFoods is a New York-based accelerator dedicated to helping promising food and beverage startups – who are already generating sales of above $100,000 on a run rate basis annually – scale their business. Launching its first class in January 2014, each class has four founding teams and runs for 6 months. Teams receive an initial investment of up to $50,000, depending upon their top line sales, as well as weekly seminars, discounts from strategic partners and one-on-one mentorship. Companies are also eligible for an additional investment of $100,000-$200,000 in the form of a convertible note. Food Hatch: Food Hatch is a food focused accelerator that provides seed and early stage funding and business expertise to food and food tech companies. It invests between $18,000 to $35,000 and receives between a 6-8 percent equity stake in each company selected into the program. In 2013, the accelerator signed term sheets with two companies, but CEO Sam Klepfish anticipates Food Hatch will be much more active in 2014. He also says that it will likely increase the amount of money allocated per investment. The NextFarm Accelerator: This business accelerator program aims to support agriculture startups and promote the development sustainable sources of food for a growing global population. A partnership between Memphis Bioworks Foundation, an organization working to change Memphis’ bioscience landscape, and the Northwest Tennessee Entrepreneur Center, a public-private partnership to support local entrepreneurs, the accelerator announced its first class of 9 companies in November. 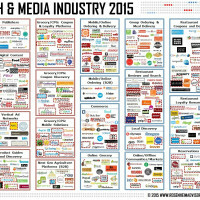 These companies are diverse, ranging from precision software and sensors to expanding processing facilities and replacing synthetic dyes. Startups receive 6 months of mentorship to help them with refining business ideas and strategic planning, commercializing technology and taking products and services to the marketplace. At the end of the program, they’ll have a chance to pitch investors. 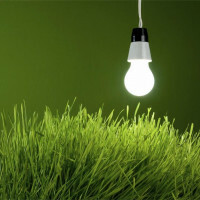 Rural Hub: Italy’s first-ever rural innovation incubator launched this year with a 1.2 million euro grant from the government. Rural Hub is an incubator that offers rural food and agriculture startups mentorship, project financing and connections with venture capitalists. In addition to the incubator programs, it also has a campus for co-living and co-working, hosts events and conducts research on social innovation in the context of rural communities. Read more about Italy’s emerging food tech ecosystem here. CircleUp: By far the most popular and well-funded of the crowdfunding websites, CircleUp connects accredited investors with consumer product good and retail companies. In 2013, 11 startups raised funds through its platform, and, since its launch in 2012, a total of 21 startups have raised $21 million. The startup raised $7.5 million in series A funding led by Union Square Ventures in May 2013. It previously raised $1.5 million in seed funding from Starbucks CEO Howard Schultz’s Maveron venture capital firm, Triple Point Investors and a number of angel investors. AgFunder: AgFunder launched in September 2013 to bring transparency and accelerated deal flow to the $6.4 trillion global food and agriculture industry by making it easy to syndicate agricultural investment opportunities. Through its platform, agriculture, ag tech and food processing startups with a lead investor can raise capital from accredited investors. Modeled after FundersClub, AgFunder sources its own investments and then creates a dedicated investment fund for each company into which it can then syndicate investors. For now, AgFunder’s investments range between $500,000 to $1.5 million. The platform is currently running two campaigns: one for AgFunder and one for Oakland, California-based TerViva, which develops new crops for under productive agricultural land and sustainable biofuels. CraftFund: CraftFund is launching an equity crowdfunding platform for the craft brewing and food industries. Its goal is to connect breweries and food companies with passionate investors. CrowdBrewed: CrowdBrewed allows craft breweries to raise equity financing through its platforms. Investors can look for opportunities, review offering materials, and make investments through its secure online platform. So far, 4 companies have raised a total of $129,235 through the platform. Foodie Crowd Funding: This platform is dedicated to helping small- and medium-sized food businesses take their companies to the next level. Approved “Seekers,” food entrepreneurs looking to launch a project, pay a $99 set up fee, and the platform takes 5 percent of funds raised from projects that reach their funding goal and 7 percent from projects that elect the “partially funded“ plan. ”Funders” receive Kickstarter-esque rewards for pledges. There are currently 24 projects on the site, but none of them appear to have met their pledge goals. Credibles: A project of Slow Money Alliance, Credibles enables small, sustainable food businesses to crowdfund prepayments from customers. In exchange, backers receive Credibles, or edible credits, which are worth $1 at the business when redeemed. The website is currently in limited beta with 36 establishments currently listed. Slow Money hopes this is an entirely new investment model for slow food.